1. 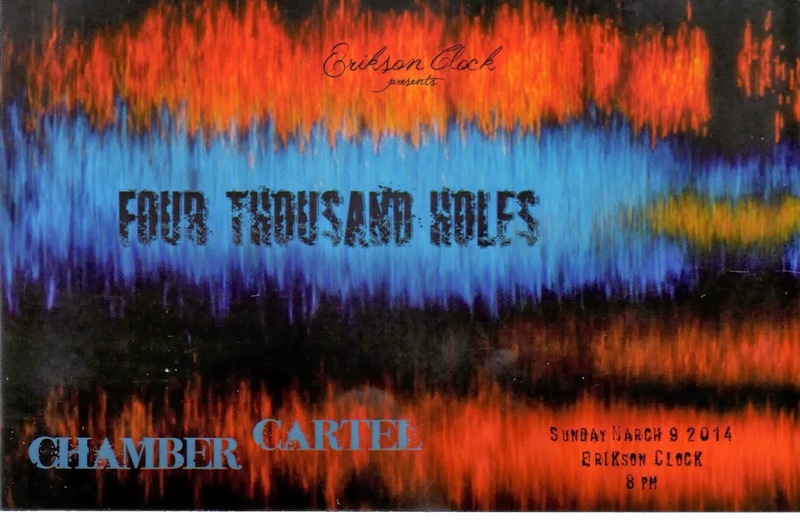 Chamber Cartel plays in the most wonderful environments. This performance was at The Goat Farm's Erikson Clock on Nelson Street in Atlanta. 2. 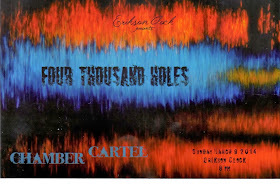 The audience grows larger with each Cartel performance. 3. Caleb Herron on percussion and Amy O'Dell on piano were extraordinary. To see an interview with Mr. Herron, open the "Conversations with..." tab on this site. 4. 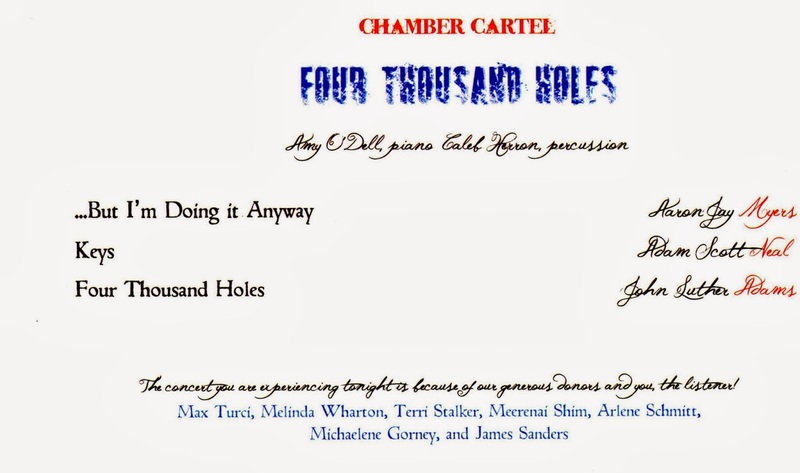 John Luther Adams' "Four Thousand Holes" is a beautiful and evocative work. Thanks to Caleb and Amy for introducing it to AMC. 5. 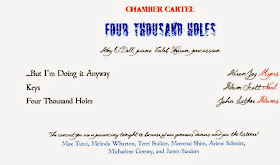 Chamber Cartel uses eye catching graphics in its publicity material (see above). 6. 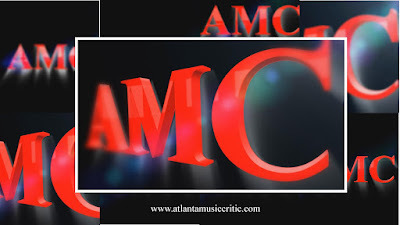 Atlanta is very fortunate to have so many opportunities to hear New Music!